When I printed out these rodeo photos, I had no idea what papers I would use with them. I don't usually purchase Western themed papers, but this challenge from 1 2 3 Get Scrappy made me realize I did have some plaid papers I could use. 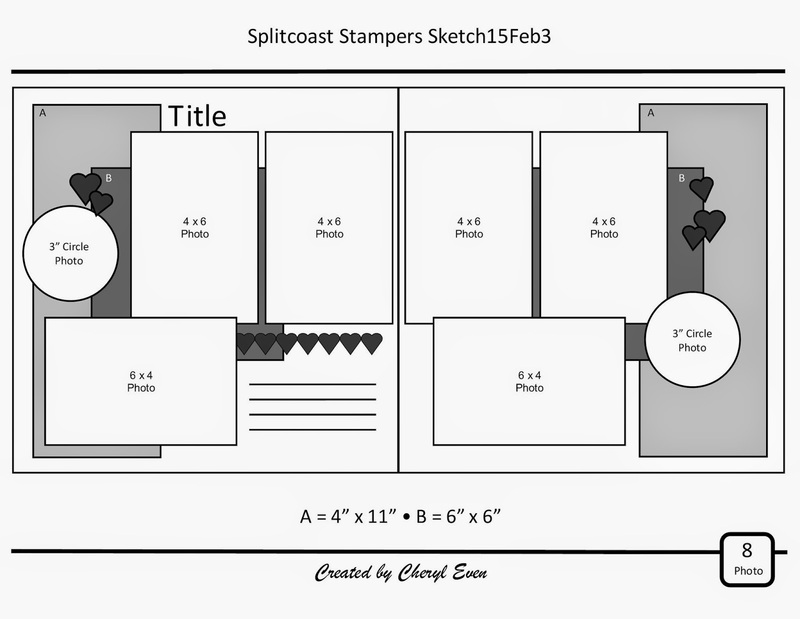 Once I had that and the February double page sketch I created for Splitcoast Stampers, the rest of the layout fell into place easily! Great layouts - so well balanced! And the plaid really works well! 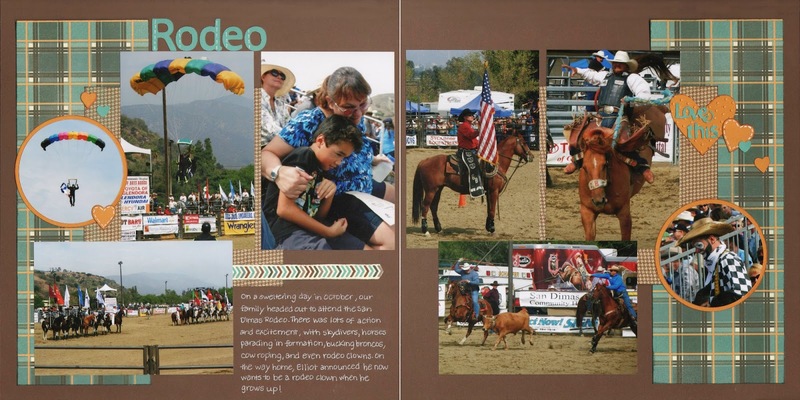 My kids did rodeos when they were growing up and I haven't scrapbooked them yet - you've given me some good ideas. Gorgeous 2 page spread!!! Love that you added so many photos, and the plaid paper is perfect! Thanks for joining us at 1~2~3 Get Scrappy!! Great DP layout! Love the awesome photos and the balance of the design. Well done! Thanks for joining us over at 123 Get Scrappy.